RPM provides quality Goaltending Instruction to a maximum of 4 goaltenders per group. 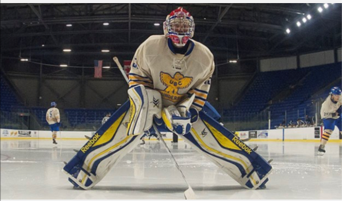 RPM’s goalie development programs instruct to the unique needs of each goaltender. Utilizing each participants natural athletic abilities and unique qualities helping them to further develop their skills enabling them to establish their own individual (style) and approach to their game. Goaltender’s are taught all skills and techniques related to current trends in goaltending by professionals who have played and coached the game at the highest levels. We have recruited the very best staff goaltending professionals who have worked with entry level to elite level goaltenders staff who have excellent communication skills, strong work ethic and attention to detail!